Of special interest to me are similar cults and rituals that are found in ancient cultures all over the world. Especially cultures that established archeologists say had no contact with each other. One of those rituals and cults is a strange one that usually puts a big smile on modern time observers. If you look only superficially there seems to be not much mystery to this cult, but at a second glance it looks a bit different. In 1908 archaeologists found near the Austrian town of Willendorf some figurines that are among the oldest depictions of human beings ever found. The figurines are more than 25000 years old and depict rather obese naked females. 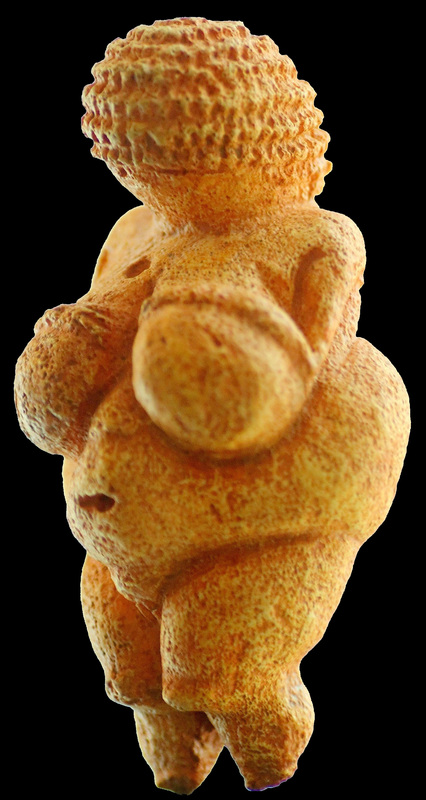 One of the figurines became famous under the name of “Venus of Willendorf” (See photo on the right. Photo source: Wikipedia Commons; Author: Matthias Kabel). The term “Venus” derives from the Renaissance were it was used to show an ideal body type of an era. Problem solved? The figurines have one peculiar feature (next to the body being shown as obese). While the body is shown in integrate detail, the face is usually completely without features. We know just by looking at the figurines, which the artist would have been perfectly capable of showing the face just in as much detail, but it is obvious that the artist(s) specifically chose not to. If we go back 25000 years, societies were much different compared to today. In our modern world we see many obese people, especially in the western world were fast food and lack of exercise contribute to obesity. In fact, obese people became such a big part of our society that we don’t think twice about it if we see those old figurines in museums. While there is certainly some truth to the above sentence that obesity might have been considered beautiful, the question remains on why. As mentioned above in our modern world we have no problem finding obese people. Our lifestyle and food choices contribute significantly. On top of everything many of our foods are processed, loaded with sodium (that we take for granted to be easily available), preservatives and last but not least the lack of exercise contribute to our society’s obesity problems. But how did that look 25000 years ago? We have to think back to a time long before the last ice age. I time we know very little about. What we do know, is that the society back then was that of hunter/gatherers. Those societies are not especially known for their plentiful food supplies and over-the-top superfoods* with plenty of nutritional values. Chocolate milk and cookies, cheeseburgers and other fattening goodies where not known back then. That’s why hunter/gatherer societies have to be very efficient with their foods. Food preservation was limited to drying fruits and drying (jerking) and smoking meats. Everything else had to be consumed swiftly. Like in hunter/gatherer societies nowadays, food is always at a premium. Hunting was hard work and dangerous 25000 years ago. If we look at the few hunter/gatherer societies that are still left nowadays, obesity is certainly not a problem. But this does not explain why those people were considered “special” or “god like”. What triggered this “cult” or the obsession with obesity? Was is it that humans always strive for the unusual, the un-obtainable? Certainly possible as it could be argued that nowadays many people see it the other way around if you look at the cover of magazines for the “high society”. .
First I have to show you what I mean by “worldwide cult of the obese”. As I said above the oldest depictions of this is the Venus of Willendorf. But many variations of the same theme exist, like below in Ecuador and Japan. I'm fully aware that there is a huge time difference between those artifacts and I address this question on my Frequently Asked Questions page, Question 18. 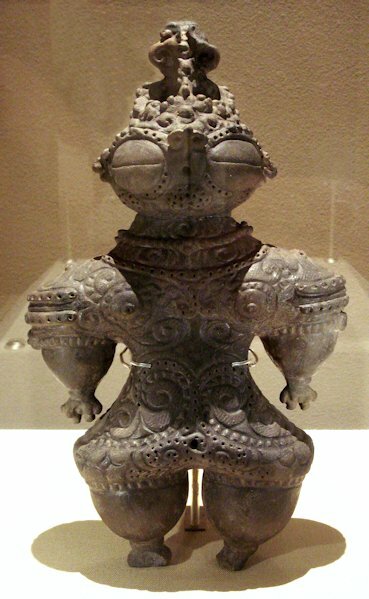 Now, the Dogu figurines of Japan are known in PaleoSeti research for many years. Those amazing figurines are probably the finest depictions of misinterpreted technology . Even if you are not a Ancient Astronaut theorist you can see the very technical looking suits and helmets. 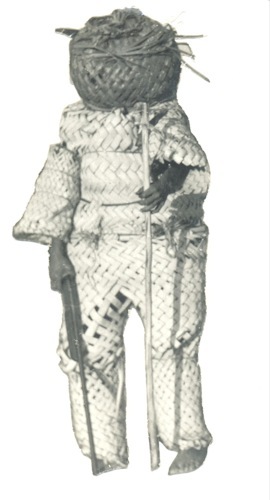 In the past the suits where interpreted by many PaleoSeti researchers as space suits of extraterrestrials. But there is a logical problem with this interpretation. Here on Earth you don’t really need spacesuits, especially as the ancient texts tell us that “the gods created us in their likeness”. On top of that the ancient texts speak of the gods interacting with humans in a way that really contradict the cumbersome looking suits depicted on the dogu figurines. If they were not space suits, what is shown? Diving suits? I don’t think so. If you look at the Dogu figurines above they look indeed a bit like an old fashioned diving suit from the 1930s. But even our technological standard from today exceed these cumbersome things by far and we can assume that extraterrestrial visitors are at least of own technical standard. So what do the figurines depict you might ask and what does it have to do with “the cult of the obese”? Please note that because of human anatomy the section around the shoulders and arms look especially big and inflated, just like we see in the ancient figurines from Ecuador and Japan. Why would extraterrestrial visitors wear Biohazard suits? I think this answer is obvious. The worst threat for anybody visiting a new biological environment are microorganisms that the body has no defence for. We know from history that isolated Native Americans for example had no defence for diseases that were brought from Europe. The small pox pandemic nearly annihilated whole tribes of natives. One would assume that anybody that visits a different planet would proceed with outmost caution before conclusive research can be done to make sure the environment is safe to work and live in. Also new crew members that arrive for the first time on the planet would be quarantined first and a biohazard suit is the best method for this. The design of an effective biohazard suit is pretty much determined by its purpose. So if you want the best security possible, you will HAVE to pressurize the suit. That’s true now and will most likely be the case for future models. So what does all of that have to do with the “cult of the obese” as I outlined above? 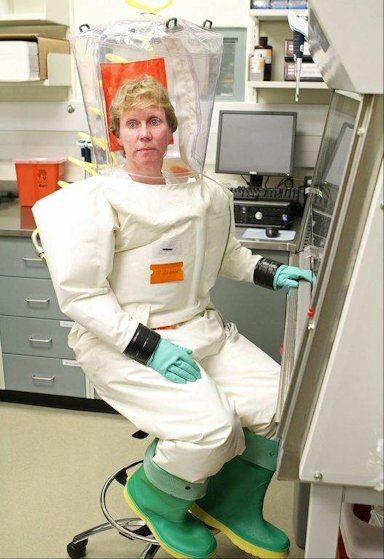 Imagine you live in the Stone Age and have not the slightest idea what a biohazard suit is, how does the above photo look to you. Especially if you only see those “being” from far away. They would indeed look like overweight humans. The Natives would certainly realize that those beings are not from here as they use strange, unknown tools and equipment. But the most important trait of the beings would be their physical appearance. Later, when the strangers left already, a cult developed and the people wanted to look and act like those 'gods' they have witnessed. The 'gods' were big and bulky, so that was considered beautiful. 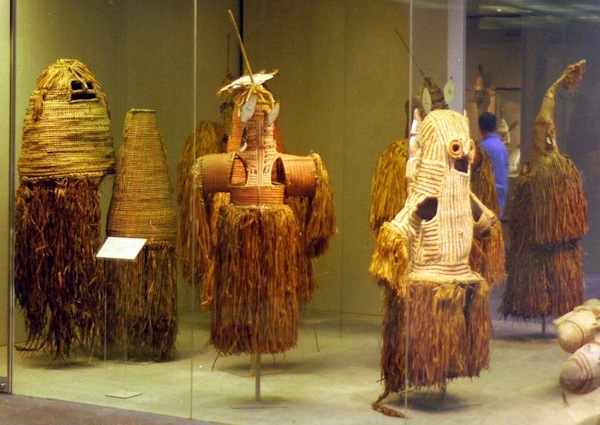 Those biohazard suit copies from ancient times can be seen in the Africa section of the Metropolitan Museum of Art in New York. They are much lesser known as their South American counterpart from Brasil. There, deep in the rainforest the tribe of the Kayapo celebrate a yearly festival of their god "Bep Kororoti". This was discussed many times in the Ancient Astronaut Literature and is therefore found many times if you do a Google search. Bep Kororoti gained the public's attention after the 1973 movie from Germany "Chariots of the Gods" that is made after the book with the same name of Erich von Daeniken. On the left you see an earlier depiction of Bep Kororoti from 1952. In reality all of the depictions all around the globe are a variation of the same theme. They all look slightly different of course as the individual cultural influences went into the depitctions. But it is my strong believe that they all have the same source. If we continue on and think about this rationally, we can assume that if Biohazard suits where used in certain areas of the world, lesser protective equipment was sufficient for other areas. 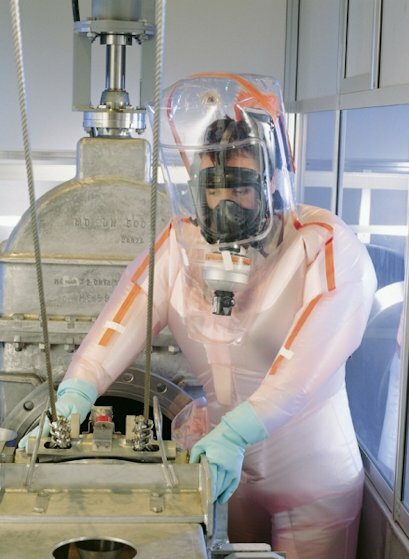 This is the same in modern biological testing facilities were several stages of personal protective equipment (PPE) is used. In El Baul, Guatemala, A strange stele was found during archaeological excavations. Erich von Daniken in his book xxxxxxxxx  first presented it to the public. The carving on this stele shows a strange scene: A figure is standing prominently over another that is laying down. In the hands this figure holds two round objects. The most interesting part of this carving is the head area of the figure. 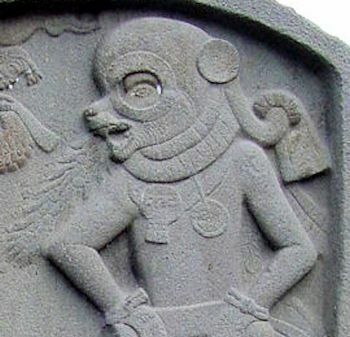 The person wears a helmet that the artist carved in shape of a jaguar. You can clearly see the snout. In front of the snout you can see what looks like a flame coming out. It's clear that it is a helmet as the eye and the begining of the nose of the figure is visible through the round hole of the helmet. The most curious thing is the hose that runs from the helmet to a box that the figure wears on its back. On the left you can see a detailed shot of the helmet, the hose and the box. 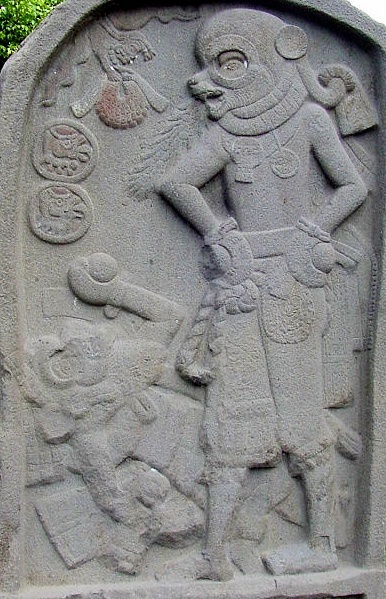 For archaeologists this stele is nothing else but the depiction of a Maya ball player. The Maya had a ritualistic ball game were the loser often faced death. Archaeology says the ball player depicted was victorious - hence standing - over the other player laying down. The player was crowned with a Jaguar mask and the box on his back is a depiction of a Possum. But I believe, we have to look closer and see the carving with technical eyes. My wife and myself work in a biological Laboratory that detects all kinds of pathogens that are a threat to public health. Some of these pathogens are highly infectious and of course we have to protect ourselves with state-of-the-art personal protective equipment. The photo on the right shows such equipment worn during a regular work day. You see the protective hood of the head that is connected with a flexible hose to an air-purifying unit that can be worn on the hips as shown on the back if the person stands up. The air-purifier re-circulates the air and cleans it with a filter. There are different models of this filtration system available and some feature an outlet valve for air in the front just like modern gas masks have. I would like to point out the incredible similarity of the modern equipment and the technology that has been depicted on the ancient Maya Stele from Guatemala. I woul also like to point the attention to the flame-like carving on the stele above. There is also a very simple technical explanation for it. Some devices produce produce condensation during a humidifing process. This could happen because of an significant difference in humidity or - as everybody knows during the winter months - temperature. This effect is seen even in warm surrounding temperatures as can be seen in modern household humidifiers. I think it's pretty clear that the above stele is one of the best examples of misunderstood technology. The artist carved exactly what he saw, remembered or what was described to him, in amazing detail and precision and if we look at the ancient stele with modern eyes, it makes sense. Or maybe we go with the Possum... You decide!